Advanced Biotechnology 2019 offers opportunity to go to the presentations conveyed by eminent experts from everywhere throughout the world. Participating in Advanced Biotechnology 2019 gives an approach to meet, cooperate with, and make contacts with different specialists in your claim to fame region. Biotechnology conferences unite people who have an enthusiasm for various fields of biotechnology like Plant Biotechnology, cancer Biotechnology, Animal Biotechnology, Chemical Biotechnology & Pharmaceutical Biotechnology, Genetics and Molecular Biotechnology from practice, research, administration, policy and education. Join your peers around the world focused on learning about Biotechnology, Agriculture Biotechnology, Pharmaceutical Biotechnology and Genetics and Molecular Biotechnology related advances, which is your single best opportunity to reach the largest assemblage of participants from the Biotechnology community Biology community, conduct demonstrations, distribute information, meet with current and potential professionals, make a splash with a new research works, and receive name recognition at this 2-day event. World-renowned speakers, the most recent research, advances, and the newest updates in Biotechnology and Genetics and Molecular Biology are hallmarks of this conference. 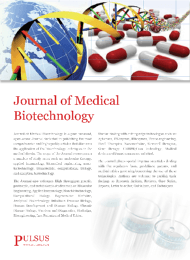 Accepted abstracts will be published in the Journal of Medical Biotechnology. Pulsus Group invites all the participants from all over the world to attend World Congress on Novel Trends and Advances in Biotechnology during September 25-26, 2019 Rome, Italy which includes prompt Keynote presentations, Oral talks, Poster presentations and Exhibitions. 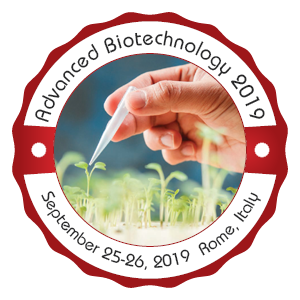 Advanced Biotechnology 2019 offers a best platform with its well-organized scientific program to the audience which includes interactive panel discussions, keynote lectures, plenary talks and poster sessions on the topics Pharmaceutical biotechnology, industrial and microbial biotechnology, plant and agriculture biotechnology, current issues in Biotechnology, Biotechnology Innovation in the 21st Century, and new scientific approaches to international regulatory standards. Biotechnology Companies & Market Analysis, The conference invites delegates from Biopharma, Biotech companies, Academicians, Clinicians, Researchers, Health care professionals, students, business delegates and Young researchers across the globe providing a better podium, interconnecting the latest research, technological developments in the arena as well as therapeutic aspects. Rural biotechnology is otherwise called agritech. Which including the utilization of logical instruments and systems, including hereditary designing, a surge in innovation brought about an expansion in horticultural biotechnology through the determination of qualities like expanded yield. Agriculturists have organized plants and creatures through specific reproducing for a huge number of years with a specific end goal to make wanted characteristics. 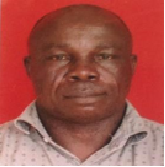 Agricultural Biotechnology has been utilized to enhance the healthful substance of a variety of products with an end goal to address the issues of an expanding populace. Atomic diagnostics, immunizations, and tissue culture, to alter living life forms plants, creatures, and microorganism’s resistance. Animal biotechnology is the use of science and engineering to modify living organisms. The goal is to make products, to improve animals and to develop microorganisms for specific agricultural uses. Examples of animal biotechnology include creating transgenic animals, sustainability in animal production, use of animals as animal bioreactors, to improve animals or the products they produce that promote human health and to enhances ability to detect, treat and prevent diseases. Marine biotechnology is the procedure that includes the marine assets of the world that are anticipated in biotechnology applications. Its applications are utilized as a part of different assignments, for instance, getting new tumor drugs from marine living beings to ocean growth cultivating. As new pharmaceutical associations focus on developing new drugs from marine life forms, experts are trained in the disciplines of microbiology, science, genomics, bioinformatics, and related fields. Marine biotechnology revolves not simply around insignificant known types of profound sea life moreover on the creating usage of marine life in the nourishment, beautifying agents, and agricultural enterprises, for instance, aquaculture. Reproductive biology involves the scientific study of the reproductive system. Improved understanding of reproductive biology can lead to new treatments for reproductive disorders, such as infertility. Biotechnologies with current as well as potential applications to upgrade conceptive productivity and to acquire an expansive number of posterity from hereditarily predominant/barren creatures. In human, a similar innovation is utilized principally to address Infertility in couples and to treat certain diseases with stem cells. Pharmaceutical biotechnology involves the application of principles of biotechnology in the development of drugs. Techniques such as recombinant DNA are used to design more effective drugs. Biotechnology has added to the discovery and manufacturing of traditional small molecule pharmaceutical drugs as well as drugs. Modern biotechnology allows manufacturing existing medicines relatively easy and less economical. The advance biotechnology facilitates its use in pharmaceutical drug discovery, production and drug development, pharmacogenomics and genetic screening. Biotechnology is the application of the life sciences to chemical synthesis. This is a study of direct production of specific chemicals via fermentation, such as lactic acid and citric acid, currently chemical biotechnology is increasing biotechnology’s support to the industries. Chemical biotechnology includes chemical engineering and scientific principles. Chemical engineering is a discipline influencing numerous areas of technology. In broad terms, chemical engineers conceive and design processes to produce, transform and transport materials beginning with experimentation in the laboratory followed by implementation of the technology in full-scale production. Huge number of industries that depend on the synthesis and processing of chemicals and materials. Which mainly deals with the oil industries, pharmaceutical industries, and environmental process, Chemical engineers enjoy increasing opportunities. Environmental biotechnology is an arrangement of science and building information utilized as a part of aversion, treatment and checking of natural contamination through bio-treatment, bio-remediation of dirtied conditions, and bio-observing of natural and its treatment forms. The procedure has been appeared to assume a considerable part in keeping up zero waste agribusiness and most essentially through the task of more than 15 million biogas digesters around the world The fundamental use of this framework is the biodegradation/detoxication of unsafe substances in industrial waste a number of the biotechnological agents used embody microorganism, algae, fungi and protozoa. Biotechnology is the usage of living systems and animals to influence things, by any inventive applications to make to or change things or methods for specific use. Science and advancement have in the past assumed an indispensable part in enhancing general wellbeing. Today the affirmation of science to upgrade general prosperity and decrease overall prosperity wellbeing incongruities is more apropos than any other time in recent memory. However the benefits of current pharmaceutical still have not achieved a huge number of individuals in creating nations. The developing wellbeing variations between the creating and the created world call for critical activity from established researchers. Stem cell therapy is the use of stem cells for the treatment or prevention of a disease or condition. Bone marrow transplant is the widely-used stem cell therapy, followed by therapies derived from umbilical cord blood. Stem Cells can self-renew themselves (regenerate) and differentiate or develop into more specialized cells. They are the foundation for every organ and tissue in our body. Due to this ability of the stem cells, they have tremendous promise to help us understand and treat a wide range of diseases, injuries and other health related problems the research is commenced to explore the effect of Stem cell therapies based on bone marrow, skin and umbilical cord cells in treatment of several disorders like neurodegenerative diseases and conditions such as heart disease, diabetes, etc. The global stem cell therapy market is forecasted to grow at a CAGR of 39.52% during the period 2017-2021. At the same time ethical issues related to this segment are on a rise. Tissue engineering is the use of a combination of cells, engineering and materials methods, and suitable biochemical and physicochemical factors to improve or replace biological tissues. Tissue engineering involves the use of a tissue scaffold for the formation of new viable tissue for a medical purpose. In the early life of human development, these cells can become any tissue or organ - that is, they have not yet become specialized. These cells are called stem cells. Stem cells have two important features that make them different from other types of cells. All stem cells are unspecialized and renew themselves for long periods of time through cell division. Under certain biochemical cues they can be made to differentiate. The current trending research topics on stem cells are human stem cell and Regenerative Medicine, stem cell transplantation and its techniques, stem cell banking, tissue regeneration and Therapeutics. Protein engineering is the process of developing useful or valued proteins. It is a young discipline, with much research taking place into the understanding of protein folding and recognition for protein design principles. Protein engineering is the design of new enzymes or proteins with new or desirable functions, conception and production of unnatural polypeptides, done through by modification of amino acid sequences that are found in nature in order to improve their use to humans. It is based on the use of recombinant DNA technology ,Advances in engineering proteins for bio catalysis to change amino acid sequences, protein engineering methods and applications such as In vitro evolution of proteins, Enzyme pro drug therapy, Enzymes and Synthetic Biology, Enzymes and Sustainable Development are becoming increasingly important and widespread. There are two general strategies for protein engineering: rational protein design and directed evolution. These methods are not mutually exclusive; researchers will often apply both. In the future. Biomedical technology is a broad term that combines engineering and technology to solve biological or medical problems involving humans, especially the design and use of medical equipment used to diagnose and treat various diseases. Biosensors and Biomarkers, it is only a sub-atomic pathway engaged with the pathophysiology of the sickness, pre-birth indicative tests, Optical Sensing Technologies, Mobile Diagnostics and Personal Health, macromolecule examination, screening for irresistible illnesses, Bioactive Paper and Biosensor Interface, cytogenetic profiling, bio-imaging and also sub-atomic and friend diagnostics. 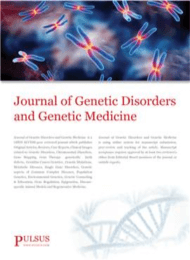 The attention on methodologies to bear on the biomarker explore up to business therapeutic symptomatic item. 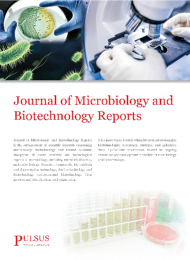 Modern microbiology or microbial biotechnology is the application. Which is use to the procedure of microorganisms or plant and creature cells to make valuable items. Since from old circumstances, microoraganisms have been used as Industrial biotechnology, there are colossal measure of microoraganisms which are utilized for bread and cakes, protecting nourishment by pickling, brew and wine making. The present-day aging innovation ventures that became out of these practices. Which produces "characteristic items" to be utilized as medications, biodegradable plastics, solvents and other modern chemicals and furnish us with amino acids, vitamins. Nano Biotechnology is science, building, and innovation directed at the nano scale, which is around 1 to 100 nanometers. Nano science and nanotechnology are the review and utilization of amazingly little things and can be utilized over the various science fields, for example, chemical science, polymer science, physical science, materials science, and engineering. Today's investigators and engineers are finding a wide range of approaches to intentionally make materials at the nano scale to exploit their upgraded properties, for example, higher quality, lighter weight, expanded control of light range, and more chemical reactivity than their bigger scale counterparts. Genetics and Molecular Biotechnology that involves the study of the heredity and biological activities in the biological organism, it also lies across the many other life sciences and also interaction between deoxyribonucleic acid and bioprotiens in biological system. Genetics and Molecular Biology is the use of laboratory techniques to study and modify nucleic acids and proteins for applications in areas such as human and animal health, agriculture, and the environment. It covers a wide scope of problems related to molecular and cell biology including structural and functional genomics, Cell transformation, production of Gene cloning systems, Mutation analysis etc. By the introduction of the latest trends in the field of molecular biology in the form of genetic engineering, an entirely new quality is developed. Biomaterial is any engineered material which is utilized to supplant a piece of a living framework or to work in personal contact with the living tissue. The focal point of research in biomaterials lies in the comprehension of the connections of biomolecules and cells with materials. The investigation of biomaterial is called as biomaterial Science, Experimental and hypothetical methodologies are being utilized to comprehend the properties of existing materials and to grow new materials for an assortment of biomedical applications. Specialists are performing definite investigations, for example, Surgical Robotics and Navigation, Stem Cells and Organs-on-Chips, Health Informatics,3D Bio printing of interfacial connections among biomolecules and cells and planning novel surface changes to control these cooperation’s in analytic frameworks, therapeutic gadgets, and different territories. The plan and produce of dental inserts, prosthetic parts and careful instruments. Systems biology is the computational and mathematical modeling of complex biological systems and Chemistry is that the examination of the compound techniques happening in living issue. By controlling information flow through biochemical signaling and the flow of chemical energy through metabolism, biochemical processes give rise to the complexity of life. Bioinformatics and Computational Biology is the utilization of algorithmic ideas, computational frameworks and data advancements to address testing issues in Biomedical research with a specific spotlight on the rising issues in Bioinformatics and computational science. Areas important to this group incorporate well-being and Medical Informatics, Synthetic and System biology, arrangement investigation, Integration of calculations and Metagenomics, image analysis, network and graph models, scientific data management and data mining, machine learning, design acknowledgment, computational developmental science, computational structure forecast and Variations , Simulation and Modeling and related areas. In industries from agriculture to environmental science, biotechnology plays an important role in improving industry standards, services, and developing new products. Biotechnology involves the spectrum of life science-based research companies working on transformative technologies for a wide range of industries. The global biotechnology market is expected to reach USD 727.1 billion by 2025, according to a new report by Grand View Research, Inc. The emergence of certain key themes in the biotechnology market is expected to drive growth in this industry to a lucrative extent. The importance of the biotech industry to growth and competitiveness in Europe is clear: it is recognized as a Key Enabling Technology (KET) under Horizon 2020 as a means to boost technological innovation and industrial leadership. Today, the majority of innovative medicines as well as many diagnostic products are developed or manufactured using biotechnology. Globally, biotech medicines represent 20% of commercialized drugs, 40% of authorized drugs and 50% of drugs under development. In Italy there are already 110 biotech drugs available. At the end of 2015 almost 500 biotech companies were active in Italy, covering all fields of application. Over half of these (256) are dedicated biotech R&D firms that devote more than 75% of their total R&D investment to research relating to biotechnologies. The vast majority of Italian biotech companies (75%) are micro or small firms. This rises to 90% when considering only the dedicated biotech R&D companies, which are indeed the driving force for the entire Italian biotech industry. Biotechnology is a high research-intensive industry: of the Italian capital destined for biotech R&D firms, the percentage of biotech R&D investment on turnover reaches 25%, rising as high as 40% for some firms.In recent years, the biotech industry in Italy has developed due to excellent academic and industrial research as well as the value of the technology and products developed. Italian biotech companies totaled 571 in 2017. The turnover is over $12.2 billion with an increase of 12% between 2014 and 2016, while investments in R&D amounted to $2 billion with about 3,790 employees in biotech research. Biotechnology is among the sectors utilizing the higher level of innovation in Italy. The red biotech (life sciences) sector in Italy, as in other countries, is the most developed and accounts for the largest number of companies (52%), comprising 295 of the total 571 firms. Pharmaceutical and medical devices biotech firms (74%) are responsible for much of the turnover, with an increased number of projects both in diagnosis and therapies. There are about 100 laboratories (public research centers and university labs), 47 Scientific and Research Hospitals (IRCCS) and around 200 companies. The development of this sector will provide strong opportunities for major U.S. biotech companies looking to partner in order to advance new treatments and product development. According to the 2017 report by Centro Studi Assobiotec, the Italian biotech industry is a dynamic and innovative sector, particularly in the areas of precision medicine and advanced therapies. However, this industry needs a long-term national strategy with stable and certain rules to develop and remain competitive. Currently, Italy relies on biotech drug imports primarily from the United States, Belgium and Germany.